In the late 1960s a lady called Theodora von Arnim – more correctly The Baroness Theodora von Arnim – ran a little gift shop in the Parkade in central Cape Town called Theodora’s Boutique. She was a unique, if not mildly eccentric, lady. Some years later, I returned from the UK to work as a lecturer at Silwood School of Cookery and Theodora was there, teaching L’Art de la Table. She had a superb take on what a table should look like for a dinner party. Her party trick in Summer, was to find small ripe white fleshed peaches, wash them, prick them full of holes, put them in a glass, pour sparkling wine over them and the tiny bubbles made the peach start rolling. Theodora’s ‘Tumbling Peach’ was then anointed with strawberry juice for the perfect Summer refresher. 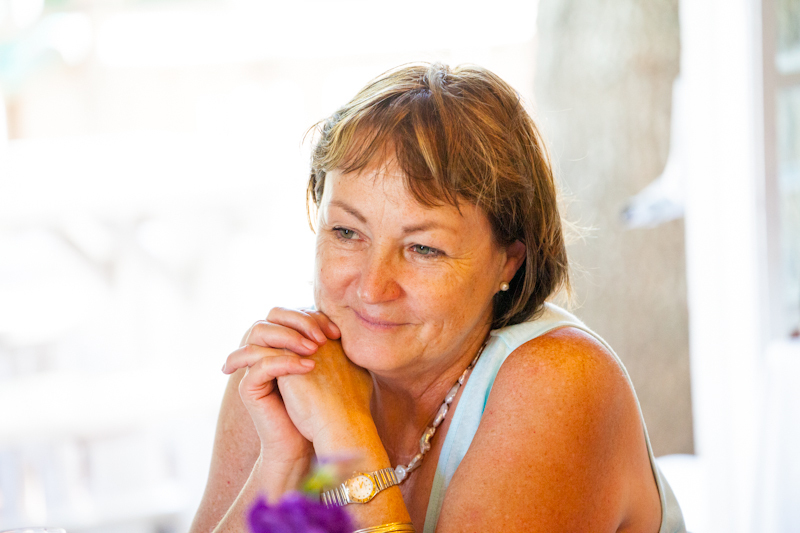 Later in the late 1970s I met Achim von Arnim, her son, a larger than life character and no less eccentric than his mother, who came to work as Cellarmaster at Boschendal. 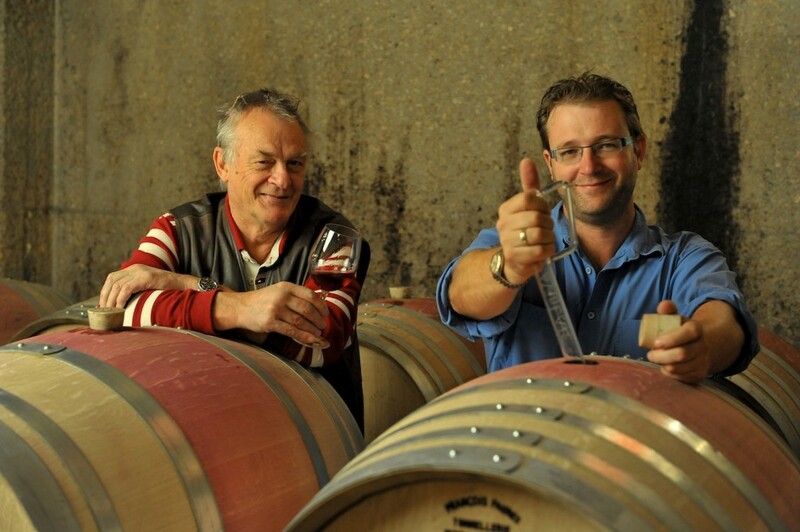 Not Winemaker, as Achim believes seriously that wines are grown and not made – a mantra he drilled into everyone who came within earshot over the 9 or so years we worked together. He taught me more about wine and the culture of wine than anyone else. And I am grateful. A legend in his own lifetime, Achim became a pioneer of Champagne style wines, now known as Methode Cap Classique wines. He was the creator of the Blanc de Noir style of wine in South Africa. A wine frequently copied and never equalled in its genre. Ratafia was to follow, a Chardonnay based premium brandy and more. Pretty soon Achim came to realise the potential of the Franschhoek Valley for making top-class Methode Cap Classique wines and he bought Haute Cabrière. Situated in the beautiful Franschhoek Valley, Haute Cabrière was originally granted in 1694 to French Huguenot, Pierre Jourdan, who renamed the property after his hometown in France. 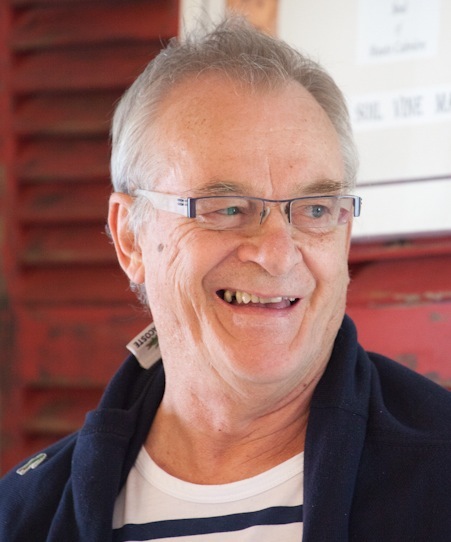 Achim, who purchased the farm in 1982, had a vision to establish Haute Cabrière as the first estate in South Africa specialising in crafting wines in the style of Champagne. The newly-acquired vineyards were planted with the classic Champagne varieties of Chardonnay and Pinot Noir. 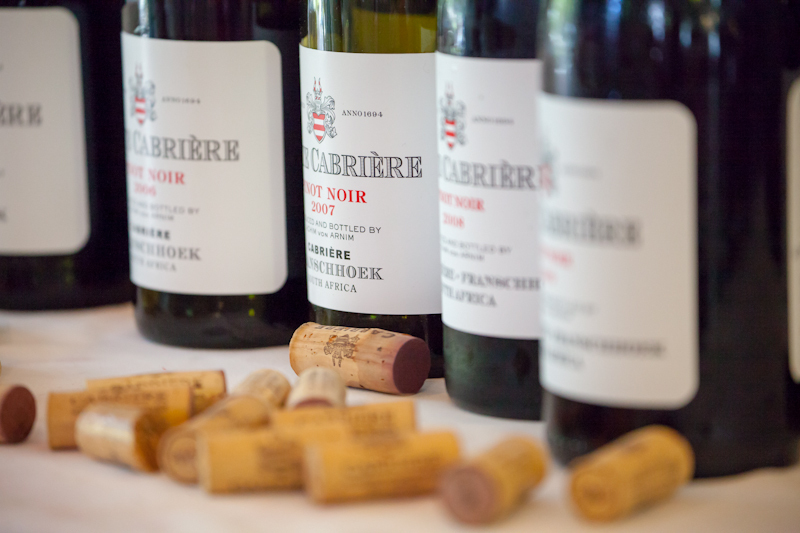 Over the following years, Achim has also built up an enviable reputation as a Pinot Noir specialist, whilst the blended wines – both still and sparkling – have firmly entrenched Haute Cabrière in the hearts of South Africans and overseas fans. Once Achim started selling wine from the Estate, Theodora came into her own again and sold wines from the Estate’s Tasting Room. 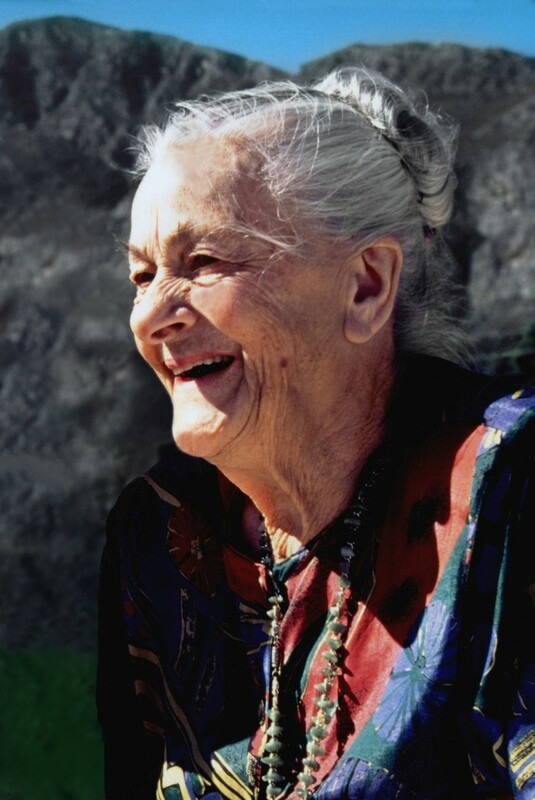 There are many amusing stories of her antics, often keeping tasters and purchasers busy well after hours while she made them soup and consumed the produce of the vineyards with them. During the legendary Saturday morning cellar tours, she performed Sabrage on bottles, swiftly decapitating them with a French Cavalryman’s sword. Achim, always a strong advocate of the idea that a wine is not made, but grown, hence the motto of ‘Sun-Soil-Vine-Man’ as the perfect expression and explanation of terroir. This philosophy is now part of the life of his son Takuan who now makes the wines of the estate with his father. Sun-Soil-Vine-Man refers to the positive energy and joy of the sun, the roots and minerals of the soil and the nature of the vine, all of which are brought together by man, as a conductor unites a musical ensemble, before everyone can finally enjoy the blessings of this magical quartet. Achim made the point to me recently that each wine is an expression of the vintage in which it was grown. The stony, clay-rich, west-facing slopes of the Estate are perfect for Pinot Noir in particular, whilst the decomposed sandstone soils on the left-side of the farm are ideal sites for Chardonnay. The cellar is designed to allow all the grapes to be handled incredibly gently, using gravity to move the juice from the press to tanks and allowing it to retain as much freshness as possible. The results are wines with a strong sense of place that offer elegance and charm to the wine-lover. The Wines – click here to read more about the wines of the Estate. The wonderful Hildegard von Arnim, wife of Achim and mother of Takuan, Tanja, Zoe and Tamo is the sun around whom they all revolve. Hildegard has worked beside Achim from the start at Haute Cabrière. Coming from a wine producing family in Germany and having studied wine, she, in her quietly, strong, supportive and competent way, is immersed in the history and running of Haute Cabrière. She says “I was born on a wine farm, my father was a vintner, and Achim makes wine so much fun. He kept me there, in that happy place that was my childhood.” So it’s very much a family affair! Franschhoek’s iconic cellar restaurant is known for its unique location, set into the side of Franschhoek mountain. 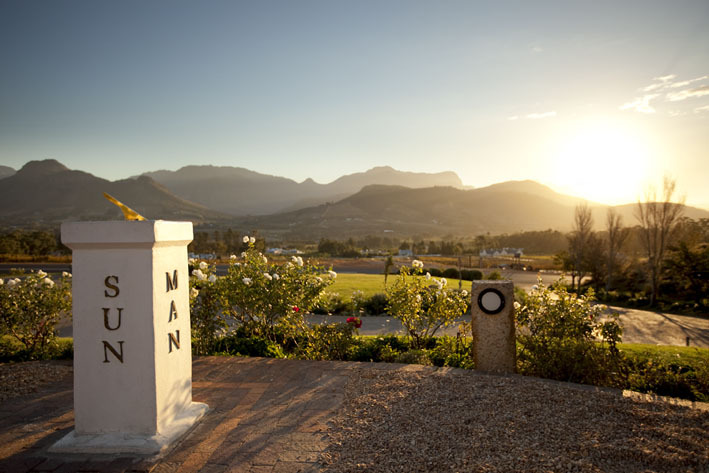 Guests can sit outside and enjoy the beautiful vistas over the Franschhoek valley. 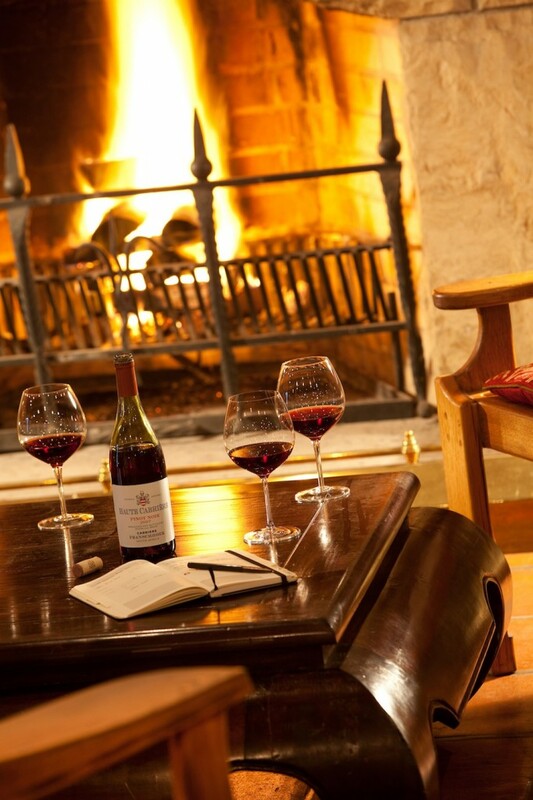 On cold winter days, a log fire provides the perfect ambience for guests to settle in for a tasting of the estate’s Haute Cabrière and Pierre Jourdan wines. It has become tradition that every Saturday at 11h00 either cellarmaster Achim von Arnim or his oldest son, Takuan, conduct a light-hearted and entertaining tour followed by an exciting sabrage demonstration and tasting of the range. Additionally, guided tours and sabrages are offered Monday to Fridays at 11h00 and 15h00, while tastings are offered throughout the day. 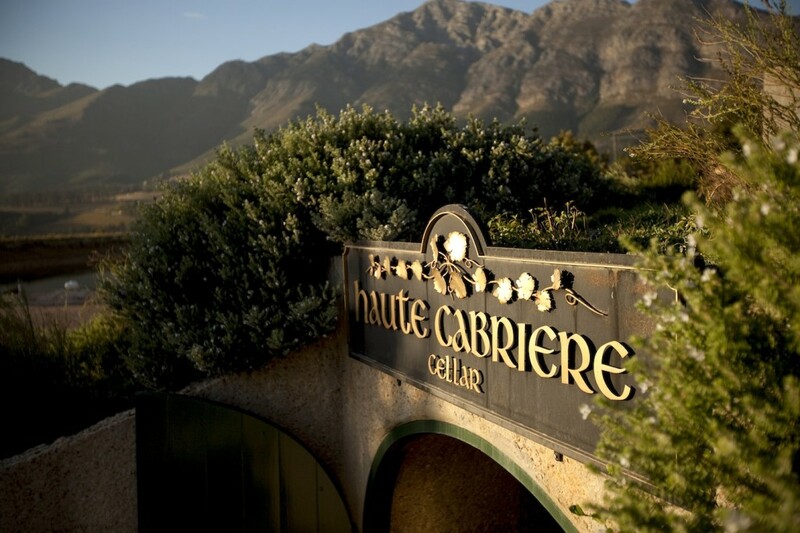 Haute Cabrière’s Tasting Room and Restaurant are both situated on Franschhoek Pass (Lamprecht Street), Franschhoek.